The Organizers of Open Source Virtual Reality (OSVR) today announce a new software plug-in that supports eye tracking technology by SensoMotoric Instruments (SMI). The OSVR eye tracking interface brings vendor-agnostic real-time eye and gaze data to the open software and hardware platform for virtual reality. The SMI plug-in implements this interface, allowing developers to easily integrate SMI eye tracking data with the range of game engines supported by the OSVR. The plug-in connects SMI's unique and proven eye tracking upgrade for the Oculus Rift DK2 to OSVR core software and, through it, to the universe of supported interfaces. The plug-in has been developed by Sensics, Inc., founding contributor to OSVR, in collaboration with SMI. It is accessible in open-source form from the OSVR-SMI github repository: https://github.com/OSVR/OSVR-SMI). Eye Tracking devices are effective tools to create interaction inside VR and gaming environments providing an intuitive way to make selections, move objects, or to create life-like animations of avatars. The SMI plug-in for OSVR uses the SMI SDK to stream real-time eye tracking data via the OSVR EyeTracker interface, including 3D gaze direction and eye images. Via OSVR, SMI eye tracking data can also be integrated into Unity, Unreal and additional game engines. The SMI plug-in connects SMI's HMD eye tracking technology to the OSVR universe. The SMI Eye Tracking upgrade for the Oculus Rift DK2 is designed for VR developers and researchers and is a proven high performance eye tracking solution for VR applications. It comes with a calibration-free user mode for quick and easy setup. A fully automatic slip compensation allows users to move or take the headset on or off without impact on data robustness. SMI also provides an OEM Eye Tracking Platform and reference designs for Virtual Reality Headsets ready for pick up by HMD manufacturers. "Eye tracking has huge potential to enhance natural interaction with VR content", says Yuval Boger, CEO of Sensics, founding contributor to OSVR. 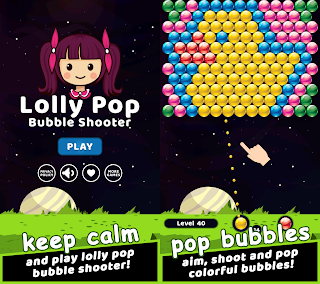 "SMI products provide excellent out-of-the-box experience and we are glad to collaborate with them in building the OSVR SMI plug-in, providing a standards-based eye tracking interface to game developers." 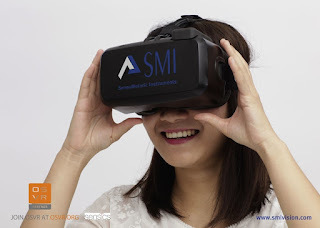 "SMI's engagement in the OSVR project is fully in line with SMI's continuous support for the VR community", says Christian Villwock, Director of SMI's OEM Solutions Business. "By providing an alternative interface to SMI's SDK, SMI emphasizes the diversity of VR and makes it even easier for developers and academia to use the tools they already favor. The SMI OSVR plug-in adds another widely accessible way to interface SMI's eye tracking technology." OSVR™ is a software platform designed to set an open standard for virtual reality input devices, games and output to provide the best possible VR game experience. Supported by industry leaders, the OSVR framework unites developers and gamers alike under a single platform. For additional information, please visit: http://www.osvr.org. Sensics creates cutting-edge VR products, combining technology, passion and expertise rooted in many years of delivering to the world's top organizations. A founding contributor to OSVR, Sensics is at the forefront of open-source VR, advancing choice and innovation alongside a community of contributors and partners. For additional information, please visit: http://www.sensics.com. SensoMotoric Instruments (SMI) is a world leader in eye tracking technology, developing and marketing eye & gaze tracking solutions for scientists and professionals, OEM and medical solutions for a wide range of applications. Find out more at http://www.smivision.com. Follow @SMIeyetracking on Facebook, Flickr, YouTube and Twitter. 0 comments on "Sensics and SMI bring Virtual Reality Eye Tracking to OSVR"